How much is Bill OReilly Worth? 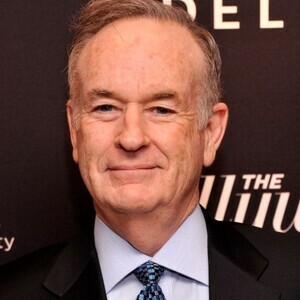 Bill O'Reilly net worth and salary: Bill O'Reilly is an American television host, author, radio host, syndicated columnist and political commentator who has a net worth of $85 million. 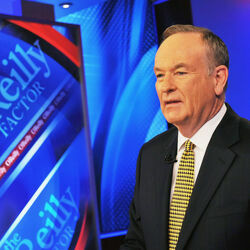 Bill O'Reilly first gained major national notoriety as the host of the political commentary program The O'Reilly Factor on the Fox News Channel which debuted in 1996. Prior to joining Fox, Bill worked at several well-known US news stations as CBS News and ABC News. He was also the anchor of the entertainment news program Inside Edition. He was born in Washington Heights section of Manhattan, New York on September 10, 1949. He started his broadcasting career at reporting and anchoring positions at WNEP-TV in Scranton, Pennsylvania. Outside of television and radio, Bill is a prolific author. Since 1998, Bill has written more than 15 books, many of which have risen to the top of the New York Times best sellers list. His 2006 book "Culture Warrior" sold one million print copies in its first three months alone. Bill was married to PR executive Maureen Mcphilmy from 1996 until their separation in 2010. Their divorce was finalized in 2011. They have a daughter and a son together and each still resides in the upscale neighborhood of Manhasset, New York on Long Island. In April 2017, the New York Times released a report that detailed how Bill O'Reilly and Fox has paid $13 million to settle various sexual harassment lawsuits brought against the anchor. One settlement alone was for $9 million. How much did Bill O'Reilly make per year hosting The O'Reilly Factor? $20 million. On April 19, 2017, 20th Century Fox announced that it had fired Bill in the wake of the sexual harassment scandal.